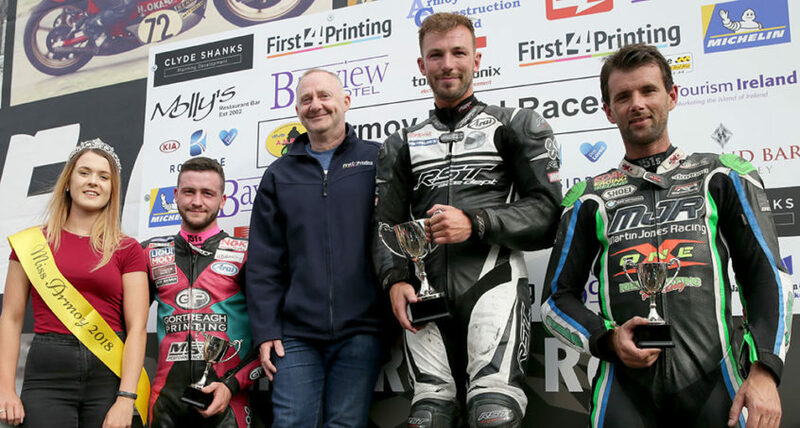 PRACTICES and racing at Armoy took place on Friday 27th July but Saturday’s nine race programme was abandoned due to the horrific weather conditions. The previous day had saw the practices and two fantastic races take place, which set the scene for a great Saturday. It was not to be. The races that went ahead on Friday night were two thrilling races. 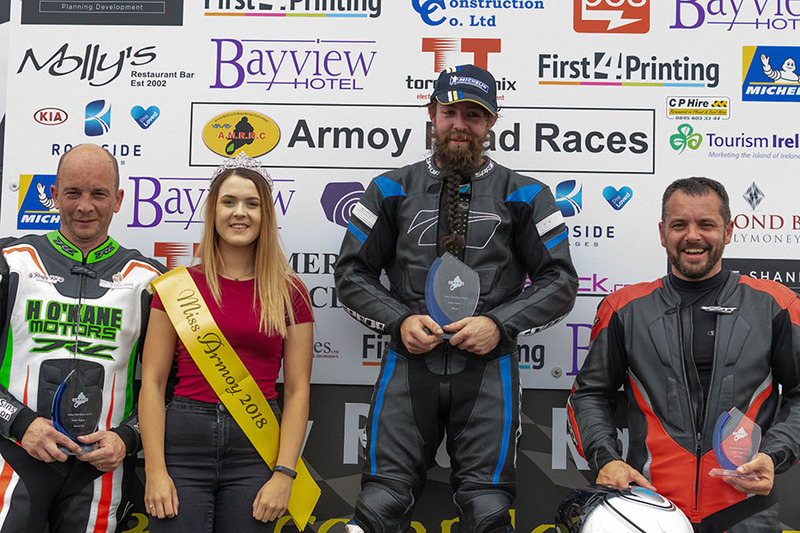 The First4Printing SuperSport Race saw Magherafelt man, Paul Jordan, clinch the top spot on the podium from Tobermore rider, Adam McLean, with third place going to Michael Sweeney from Skerries. Earlier, the Park Electrical Services and Armoy Construction Senior Support race was won by Maghera man, Stephen McKeown, from Armoy club member Tommy Henry, with a very close third from Mike Swanson from Aberdeenshire.